Articulate Education UK: Is your school ready for World Literacy Day 13th October 2015? Is your school ready for World Literacy Day 13th October 2015? World Literacy Day returns on 13th October as part of the World Education Games where children across the world will be celebrating language and literature. If your school is not ready for this global event, look no further. ARTiculate’s creative literacy workshops have had a proven impact on developing children’s writing. Using drama, discussion and art to stimulate exciting thinking, learners big and small have been amazed by the outstanding artwork and superb progress in writing my workshops can deliver. No gimmicks – just innovative ideas taught well by a qualified and experienced primary school teacher. For World Literacy Day, I have two exciting and engaging workshops to offer that include building birdcages, drawing with words and developing original ideas for writing that will get the children raring to go! 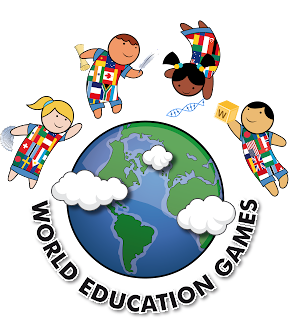 These 4 session workshops are designed to run across the week of the World Education Games (12-16 October 2015). Each session lasts for 2 hours. The length and content of a workshop can be tailored for your school's needs and budget! To enquire about this workshop or for booking details please email me at articulateeducation@gmail.com (or click here). Look forward to seeing you on World Literacy Day!